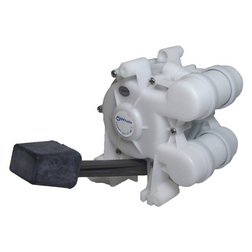 A compact, smooth double action fresh water foot pump for a hands free method of delivering water in boat galleys. The Whale Gusher Galley foot pump is a simple, yet compact, double action fresh water delivery pump that self primes and can operate dry without damage. On Deck:- Fixed to the floor with the four fixing holes. On Bulkhead:- Fixed to a side panel (bulkhead) with the three fixing holes. Thru Deck:- Fixed behind galley cabinets for seamless integration with galley design. 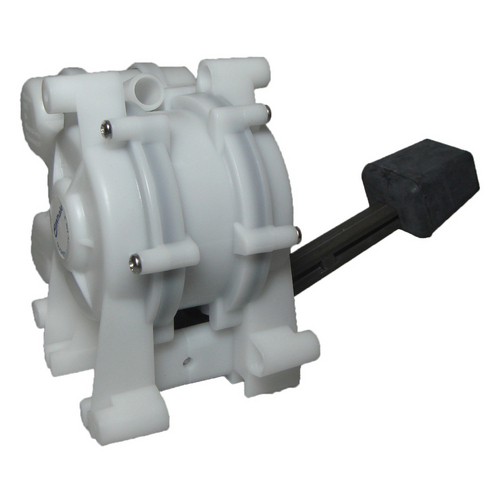 With the ability to pump fresh water or sea water this marine water pump can pump up to 15 Litres per minute (4 US Gallons per minute) with a smooth, continuos flow thanks to the double action pump design.